When I was looking for Candid & Traditional Photographers, & Candid Videographers service. I approached the RFC Studio after verifying & researching for best wedding photographer in around chennai . Finally, i have approach Ganesh Team to cover my wedding , i didn't expected the outstanding output and they are very friendly. the album came very well and surely, i would recommend my friends and family...Good Job Team. Kaviya Video's is one of the most popular leading organization providing photo and video coverage services in Chennai for the past 19 years. Our team comprises of dedicated and energetic professionals providing explicit photography and videography services for events like Engagements, Receptions, Wedding, Mehndi, Birthday Parties, Convocations, Religious Ceremonies and others. Our Photoshoot service caters to various departments including Jewelry, Medical Equipment, Fashion and beauty, Arts and Crafts, Food and edibles, Coins and similar. We are fully equipped to capture you at your residence and at our studio whichever is best recommended. We extend our photo coverage to theme-based photography like Adventures, Landscapes, Flora and Fauna. We also offer album printing services for Wedding, Family Events, and Travel with versatile choice in the album cover types. Contact us for more details. Love this place. The photographer is very kind. The picture they took of my daughter came out amazing. The entire process took a little over 2 hours,from packing out the package and back ground to finally receiving the prints. One Click Studios with an immense knowledge in the field of photography and videography has involved in providing excellent photo coverages for corporates, industrial subjects, portraits, interiors, products and events. For more than a decade, our cameras have captured numerous valuable images with the professional’s intimate knowledge of lighting and composition combined with cutting-edge technologies. We capture the essence of your special moments live and fresh. Contact us for more details about our rates. Yelo is all about Events and Entertainment. Yelo handle Wedding, Birthday Party, Corporate events & Promotional Activities. 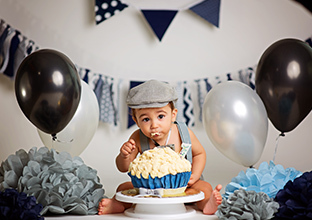 PRE-BIRTHDAY + BIRTHDAY SHOOT Book us for your little one's birthday along with a pre-birthday fine art baby shoot which includes our Storyboarding and Concept-based session. What's better than freezing these adorable moments? Display them at the birthday party! The shaadi stories is a photography brand which believes in classic beauty,window light,original ideas . We promise not a moment is missed when you are in the flow of the occasion ?? Hi we are Chennai based wedding studio specialised in wedding photography,candid wedding photography,kid portfolios, fashion portraits, interior & exterior photography. He did a great work.. the photos that he clicked are precious possession for my whole life.. I strongly recommend his work. Only SATURDAY SUNDAY working ! 3.5k start. We are specialized for kid photography. Package Starting from 3500Rs with customized gift. We do photography for birthday,wedding,outdoor, product and so on. making customized resturant menu. 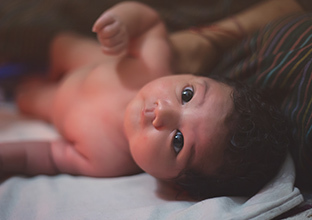 we understand what baby likes and how to make them look good in photo. we don't flash directly on baby's eye, which is dangerous. Wonderful and Innovative Photography Skills...Keep up the good work. Photographs are a window to relive old memories. Professional experts are hired to capture the moments in the best possible way. Kid’s photography, in general, is so much more fun and candid. If you are planning to hire a professional kid’s photographer in Chennai, here’s everything you need to know. Digital copies, album creation etc. Discuss with them your requirements in detail. 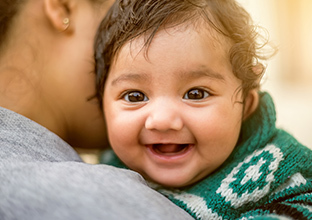 Post discussing, ensure that you hire a service provider that has positive user review, ratings and fulfills all the essential requirements of a kid’s photographer. Post discussing with the shortlisted service providers, ensure that the below-mentioned points are met. Check for any additional charges like props, outfits, background etc. Kid’s photographer specializes in capturing kid’s unfiltered innocence and emotions. Handling a kid and expecting the same kind of cooperation is a little difficult. Keeping this in mind, experts create a friendly and fun-loving environment for the kids to enjoy. Here are some things to take care of before the photo-shoot. 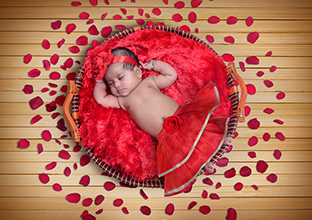 Growing up monthly kid’s photography packages start from Rs.50,000 and above.